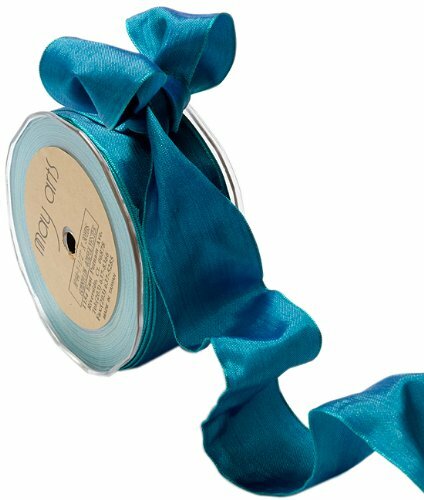 This 1 ½ inch by 30 yard roll of wired iridescent blue and green ribbon with blue edging will quickly become your favorite wired ribbon for crafts projects, scrapbook pages, and tying elegant bows on packages and gift baskets. It can be used on costumes and clothing as well by easily removing the wire from the ribbon. The wired edge helps your bows keep their shape.